So guess what? 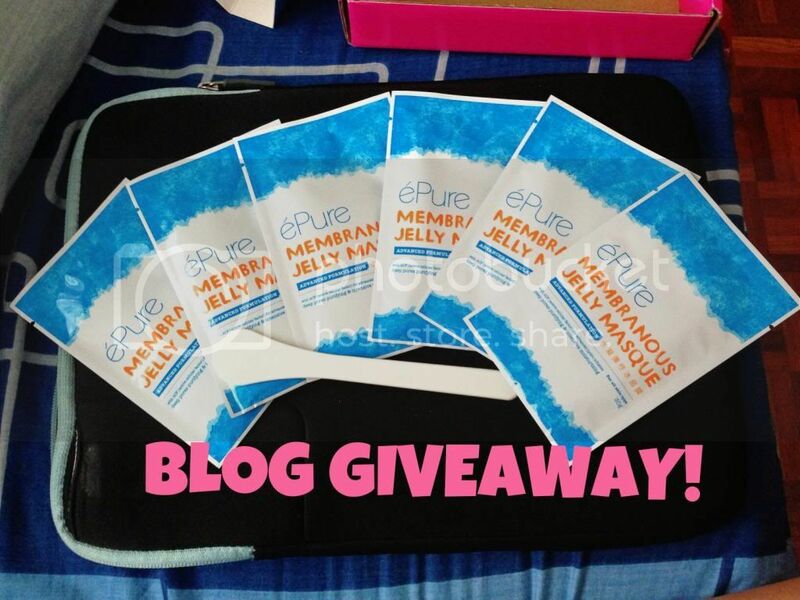 I am going to give a box of ePure Membranous Jelly Masque for my first blog giveaway. A box contains 6 packets of the masque with a spatula! Before I give the rules and regulations of the giveaway, let me share with you guys about ePure Membranous Jelly Masque first. How 2 Win A Box of ePure Membranous Jelly Masque? Leave a blog post comment with reason "Why do you want ePure Membranous Jelly Masque?" 1. This campaign is open to all my readers residing in Malaysia above the age of 18 years old from now until 15th July, 2013. 2. To win a box of ePure Membranous Jelly Masque, kindly register via the app and complete all the tasks necessary. 3. Incomplete entries will be void. Only one winner will be contacted via e-mail after 16th July 2013. 4. The blog owner has the right to amend the terms and conditions of the giveaway, subjected to availability of prizes and how the prize will be given / received.